I never liked okra, and that’s not my fault. I had only ever eaten it slimy, deep-fried, and wrapped in a wad of corn meal. However, my opinion of okra improved greatly when I learned to roast it in the open fire; to sauté it with onions at altitude; to spice the okra with some foreign four-letter-words. 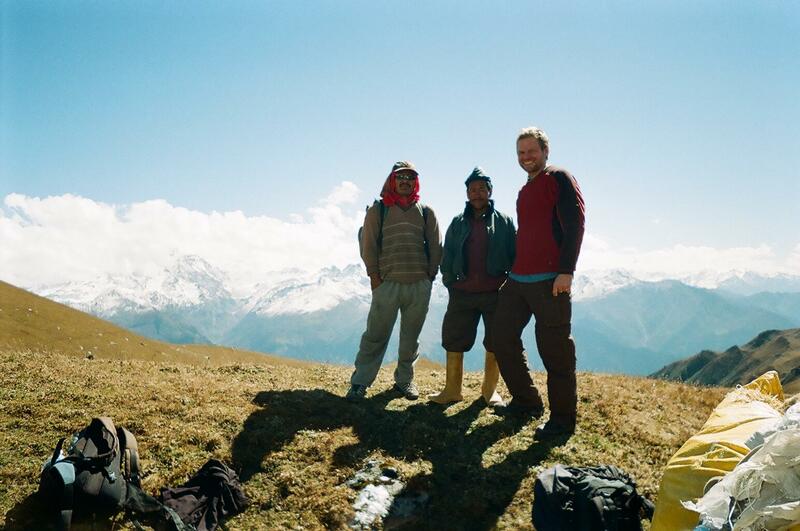 My distaste for okra surfaced on a mountain climbing trip in the Himalayas. In a small village on the Beas River of India, I hired a guide and porters and horses for an expedition through the Rohtang pass to Ladakh. As the crew prepared for the trip, I drank tea on a balcony facing the immense wave of mountains we were about to ascend. The weather shifted on the crest of peaks from sunny white clouds to mist to black storm. I had long dreamed of exploring those forbidding mountains. I had a burning curiosity to know how food is grown in such impossibly harsh conditions. It was difficult to imagine that humans could survive, much less cultivate, the brutal terrain rising in front of me into the clouds. Our plan was to pack a few days of food and re-supply at farms along the way. 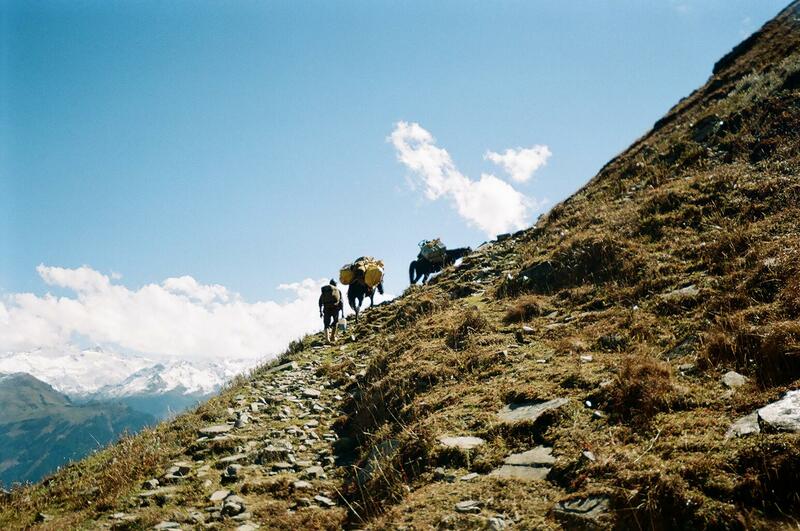 It was to be, out of cultural necessity, a vegetarian trek. 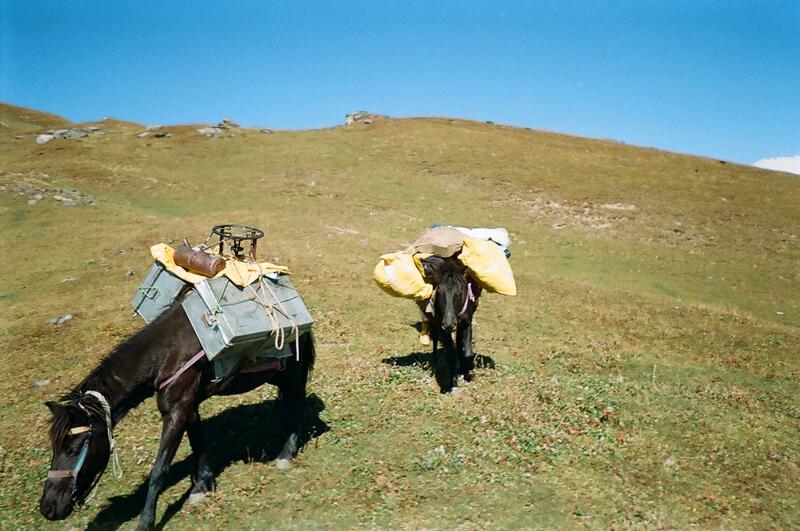 The porters loaded our supplies into burlap bags and metal chests and balanced the loads on two small black horses and tied it all down. The guide waved to me and I followed them out of the village into a steep vertical climb. Because We Have Much, My Friend! On the first evening, when the porter opened a chest to prepare dinner, I saw a lot of okra. There were onions and peppers and spices in the kit, but mainly there was okra. This answer is the expression of a good harvest in a farming culture. In this remote land, all food is local. When a crop ripens, there is suddenly very much of it. Okra ripens with a vengeance. We had chests full of okra in our camp because the green fields along the river far below were full of okra. In America, there is an increasingly popular “local food” movement–people who strive to eat seasonal produce from sustainable local farms. They are called locavores. In the farming cultures of developing countries, and especially in the villages of the upper Himalayas, folks are locavores of necessity. They don’t have continual access to a perpetually ripe and unlimited diversity of vegetables from around the world. The menu is the daily harvest as each crop comes ripe. At dinner, I received my first lesson in cooking okra. Our camp cook was a culinary phenomenon. 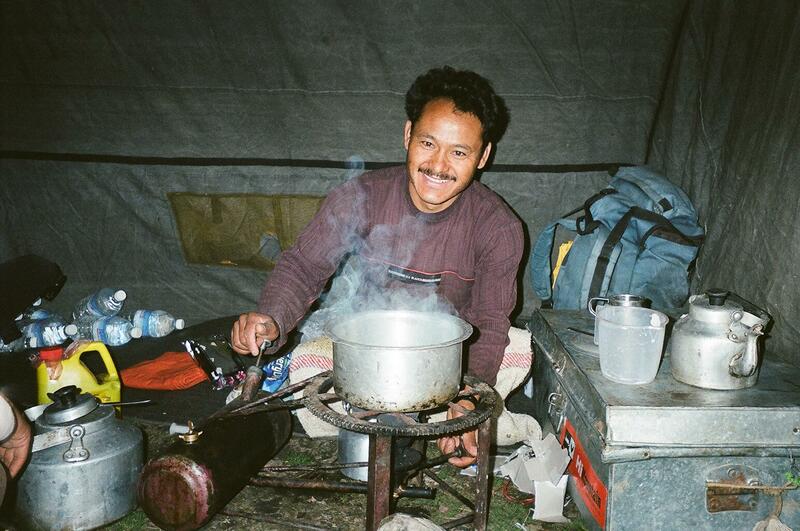 His only tools were a small knife, a brace of spices, tin plates, and a diesel camp stove. As a fierce wind howled around the tent, he prepared a dish of sautéed okra and onions and peppers and spices so good that I nearly wept into my tin plate. After climbing all day in the wind and storm and sun, clinging to the footholds of some perilous cliff-face, shuffling awkwardly along a narrow path at the edge of an abyss, struggling to the top of a vertical rise only to find yet another ragged peak looming above, straining every muscle of man and horse over rocky impediments of the thrilling landscape, standing awestruck at the views from the tallest ladder of land in the world, lungs burning and body slowly numbing with weariness and cold; we were all very hungry. The cook prepared okra in a different way at each meal. A trick to keeping the harvest interesting is to employ multiple unique recipes for each crop. One night the cook brushed the okra with oil and spices and threw it into the camp fire. When he carefully pulled it back out, it was a vegetable masterpiece. I leaned into the glow of the fire and ate one of the best meals of my life, roasted okra of all things, under the brilliant flickering Himalayan stars. The Hindi word for okra is bhindi, which translates to ‘lady fingers’. The guide would say, “Eat the delicious lady fingers!” They loved okra. Go Left! and Go Right! 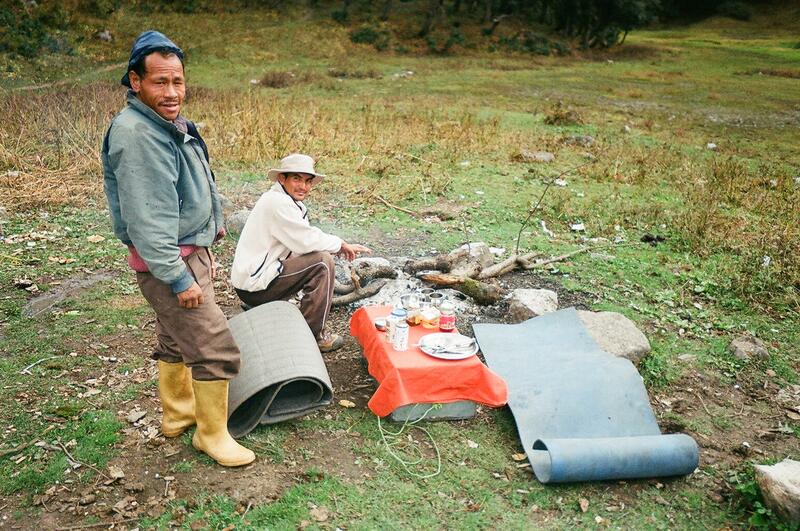 One of the porters wore his pants tucked into rubber boots twice the size of his feet. He weighed about 90 pounds, but could probably carry both horses fully loaded up the mountain. All day he talked to the horses in Hindi. I began to recognize several of his expressions from repetition and a certain sharp tone of voice. I asked the guide what the porter was saying. 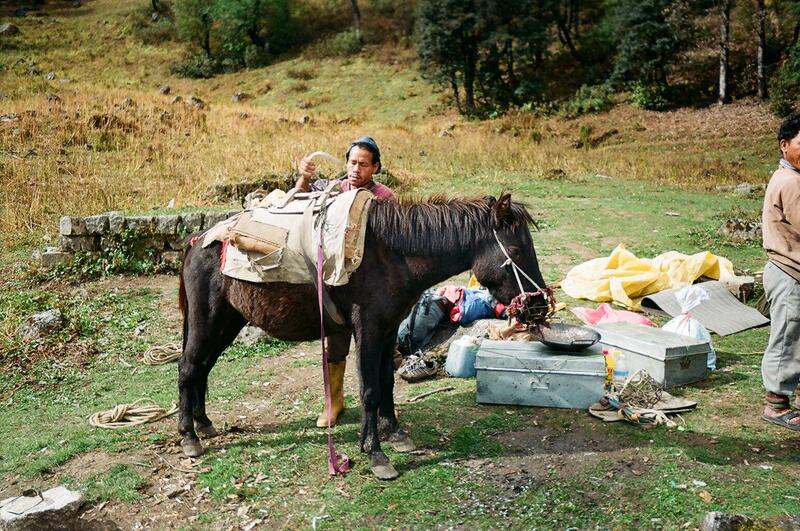 He hesitated and then said, “He is telling the horse where to go…such as, ‘go left’ and ‘go right’.” The guide said something to the porters in Hindi, and they all laughed. I asked him to teach me these commands. Since I taught them “okra”, they agreed to teach me some good words in their language. As we ate supper by the fire each night, I learned a small vocabulary of Hindi. Unfortunately, the words they taught me did not mean “go left” and “go right” and so on. They were the filthiest curse words in the Hindi language. Later, when I got down from the mountains and practiced my “go left” and “go right” on the rickshaw drivers of India, I found out just how foul these commands were. The porters must have thought okra was a four-letter-word. So they taught me some Hindi four-letter-words as a practical joke. 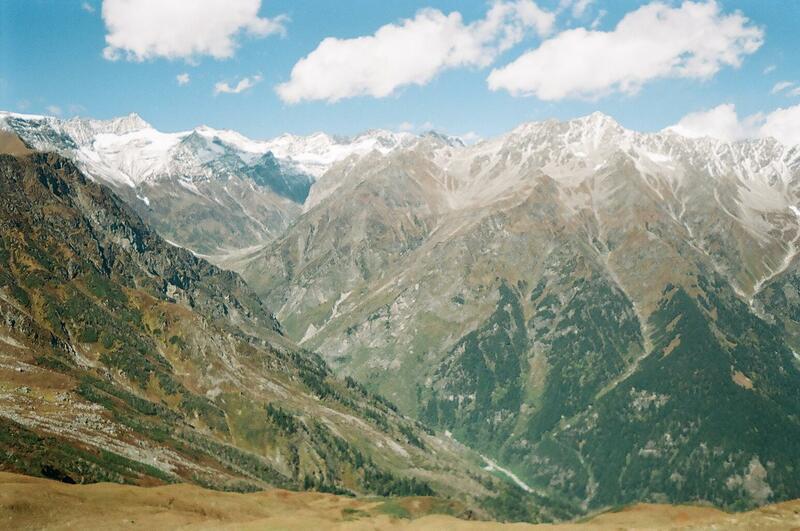 As we climbed to the roof of the world, we depleted our store of food. It was too cold for okra in the terraced gardens of our new altitude. We were a band of roving locavores, so we purchased new and rare and wonderful vegetables from the farms we passed on the cloudy cold heights of India. But I must tell about those vegetables another time. Now is the time for okra at your local farm. We have much okra, my friend. Prepared correctly, okra is a tasty dish—and very healthy. Okra is rich in vitamin A and C, folic acid, and dietary fiber, as well as iron, calcium, and magnesium. These vitamins and minerals are essential to the body in the heat of summer, when okra is in season. Nature gives us exactly what we need, when we need it. Local food works. You can find cooking gems to grace your lady fingers under “Recipes” at fourstringfarm.com. Look for bhindi with onions and peppers and spices, fire roasted okra, and frittata featuring okra. If these recipes are not incredibly delicious, call me and we’ll figure out what went wrong. Or, I will teach you to say “go left” and “go right” in Hindi. When you serve okra, add that touch of spice to the dish. But remember, okra is not a four-letter-word. I agree, okra is NOT a four letter word. Words to describe this delicious veggie require more than 4 letters..
Blessings, peace and love to you..